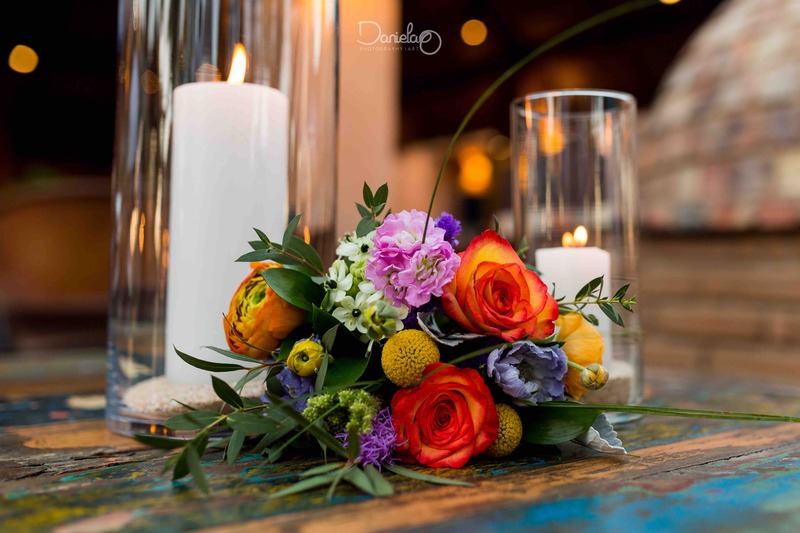 When getting married in Los Cabos (whether you are in Cabo San Lucas, San Jose del Cabo, Pescadero or Todos Santos), one of the most important elements you can add to your wedding is candlelight! And we have lots of candles, just waiting to decorate your wedding tables and/or ceremony. The Baja nights are dark (unless you are fortunate enough to have a full moon!) but that makes your candlelit tables and ceremonies even more romantic! 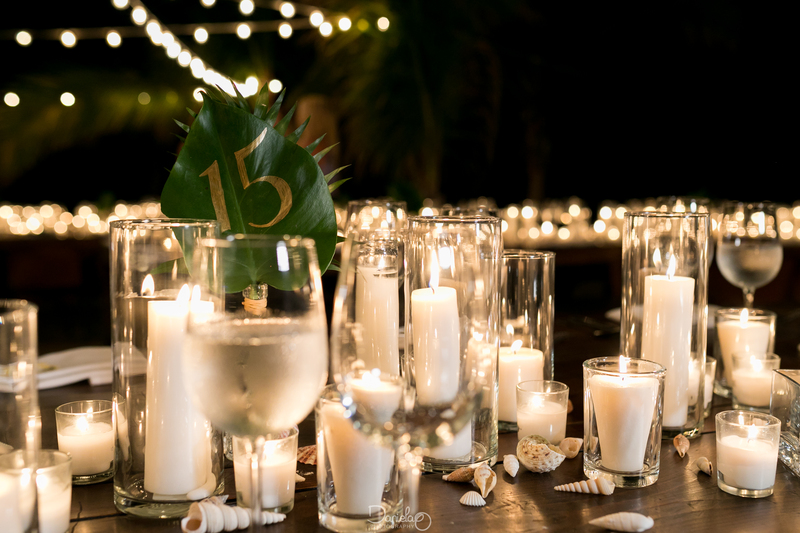 Some brides (like the table below) use just candles to decorate their tables. 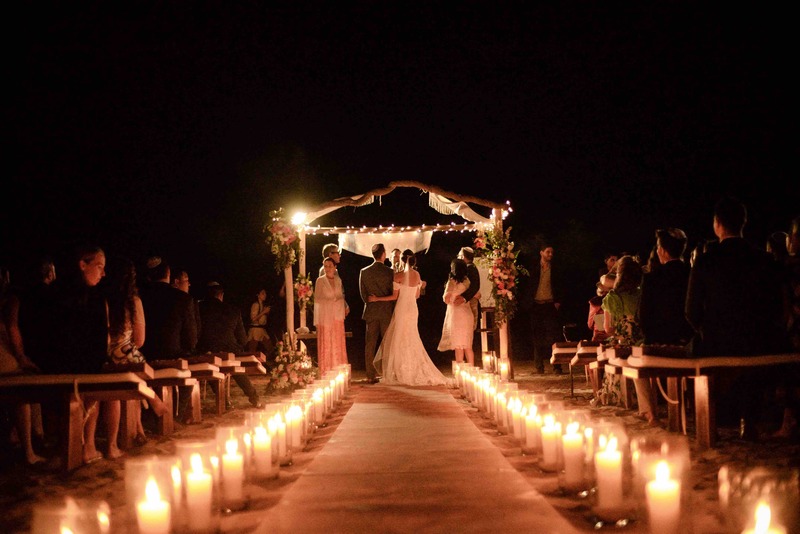 This bride used 50 of our candles (or varying dimensions) for each of her 4′ x 8′ rectangular tables. Sometime (like below) candles are an accent to everything else important that is going on on a table. 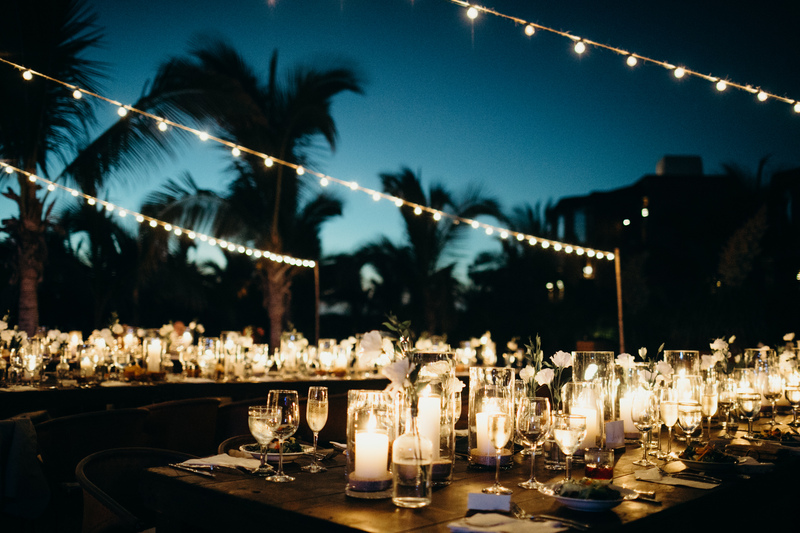 And sometime, though this is actually rare here in Cabo San Lucas, our candles are there to light up the actual night time ceremony. 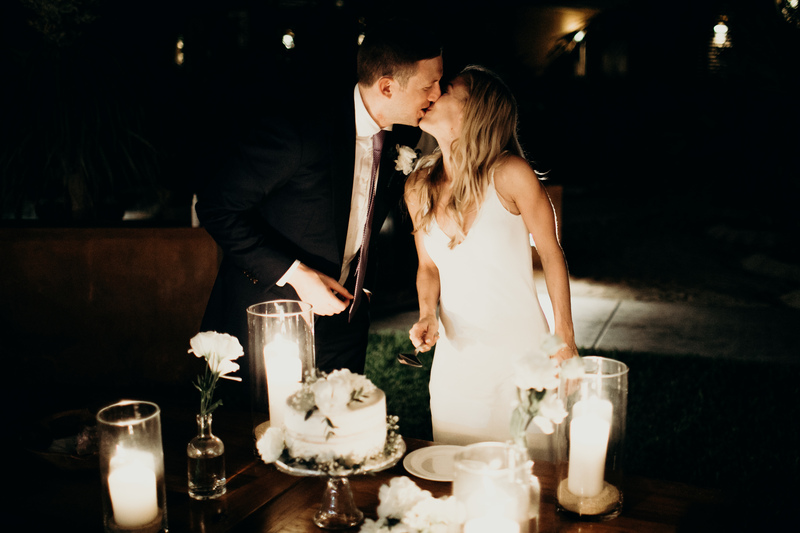 (Most photographers prefer to photograph sunset ceremonies an hour before sunset, but this Cabo wedding ceremony was beautifully photographed and truly stunning, even after sunset.) 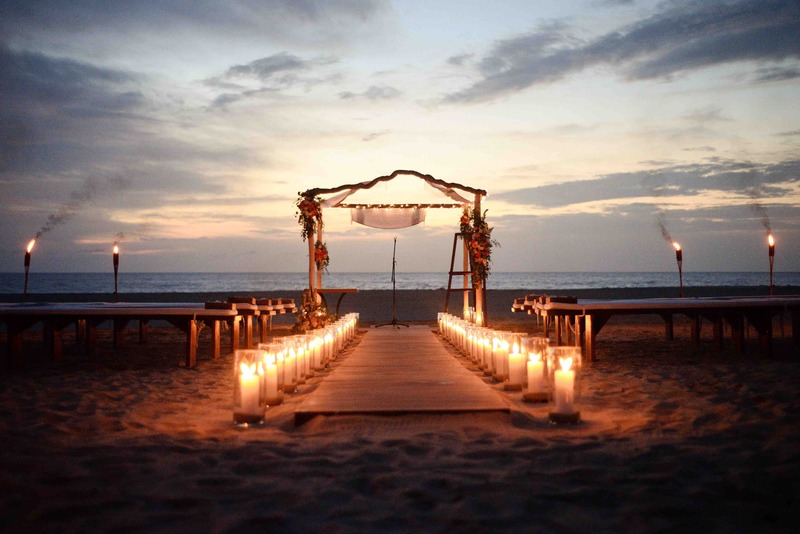 Click here for a great link to determine your Cabo wedding sunset time.